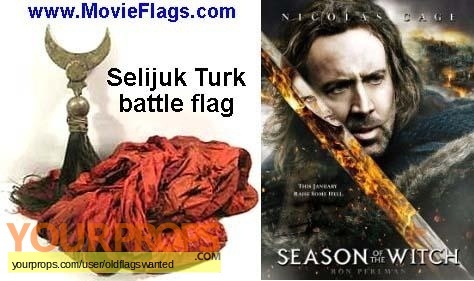 Turk Battle Flag with crescent moon pole top, from the movie "Season of the Witch", also called "The Last Templar", where after numerous battles crusader knights transport a suspected witch to a monastery, where monks are to determine if her powers could be the source of the Black Plague. view all 46 items of "oldflagswanted"
** The content of this listing is the sole responsibility of oldflagswanted. Yourprops.com, its owners, agents and assigns assume no liability.